The new 2018 Chrysler Pacifica Hybrid is a phenomenal option for customers who want the most fuel efficient, stylish, and family-friendly minivans on the road. With its plug-in hybrid powertrain, the Pacifica Hybrid offers a convenient option for drivers who want the fuel economy that comes with having a hybrid vehicle. Learn more about this spectacular vehicle below! 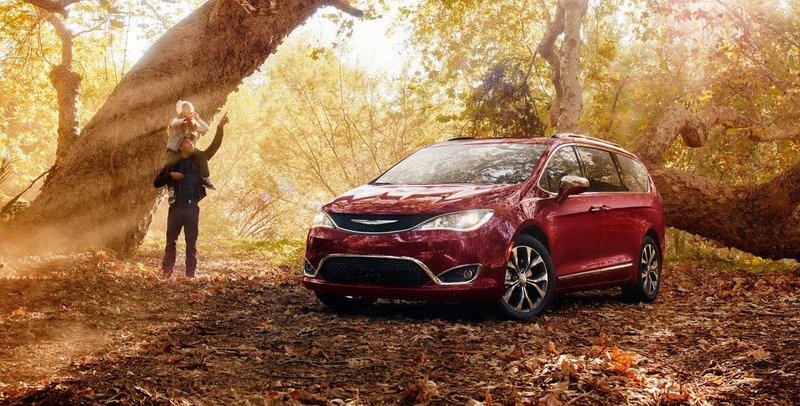 Can you tell me more about the powertrain of the Pacifica Hybrid? The 2018 Pacifica Hybrid is powered by an amazing 3.6-liter V6 engine that works alongside dual-electric motors and a 16kWh battery. It boasts 260 total system horsepower and utilizes a continuously variable transmission (CVT). The Pacifica Hybrid delivers incredible fuel economy ratings, offering an 84 MPGe when using both gas and electricity. The vehicle has a total driving range of up to 566 miles and a 33-mile driving range on a single electric charge.The battery can be easily charged with the available 240-volt Level II charger, which offers a recharge time of just two hours. Alternatively, the 120-volt cable that comes standard can recharge the vehicle when connected to a typical wall outlet. Are there any changes to the trim lineup? Chrysler has revised their trim lineup for the 2018 Pacifica Hybrid. For 2018, there are three trims called the Touring Plus, Touring L, and Limited. Every trim is beautifully equipped both inside and out with high-end features. The standard Pacifica Hybrid Touring Plus trim is equipped with highlights like keyless entry and ignition, tri-zone automatic climate control, 8.4-inch Uconnect touchscreen, Bluetooth, Apple CarPlay and Android Auto connectivity, and a six-speaker audio system with HD and satellite radio. The Touring L trim adds roof rails, power liftgate, remote engine start, leather upholstery, heated front seats, and a leather-wrapped steering wheel. The Limited adds incredible features including upgraded leather, ventilated front seats, a 20-speaker Harman Kardon premium audio system, and navigation. The Limited also has a rear-passenger entertainment system, which includes a Blu-ray player and wireless streaming (with compatible Android devices). What are the safety features of the Pacifica Hybrid? The Pacifica Hybrid comes standard with driver aids like rear parking sensors, blind-spot monitoring with rear cross-traffic alert, and a rearview camera. The top Limited trim adds automatic wipers, adaptive cruise control, automatic high beam control, and an automated parallel and perpendicular parking feature. Some of the other great driver assistance features that can be equipped include a 360-degree parking camera, front parking sensors, forward collision warning with automatic emergency braking, and lane departure warning. Chrysler also offers a secondary driver key that is called KeySense, which puts parameters on audio, speed, and more when teenagers or valets are driving the car. The Pacifica Hybrid is a wonderful minivan that offers incredible fuel economy, amazing standard features, and innovative safety technology. We would be happy to tell you more about this spectacular vehicle, so get in touch with us today at Zeigler Chrysler Dodge Jeep Ram of Downers Grove!